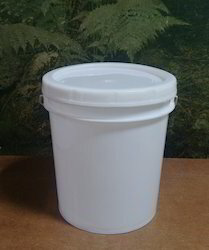 5 ltr capacity bucket suitable for packing of ink. plastic buckets with attached handles are the perfect storage solutions! Easily tote from room to room to carry all your supplies... great for crafts, school supplies, office supplies, bath products, and so much more. Also perfect for filling with ice and drinks! Stylish Party Tub with Silver finish. Set of 2 Storage Buckets. Beautifully intricately handpainted in catchy colours. Will add style yet give a contemporary look to your house. The traditional catch bucket can be used for density and specific gravity determinations, Archimedes principle, etc. Good grade aluminium construction. 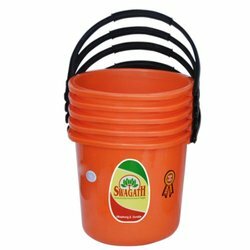 We offer wide range of 281 UB Plastic Bucket.